Most brides have been dreaming of their wedding dress since they can remember. Chances are, if you’re engaged you probably have a Pinterest board full of wedding gown inspiration as we speak. But, wedding timelines can be tricky, especially when it comes to wedding dress shopping. 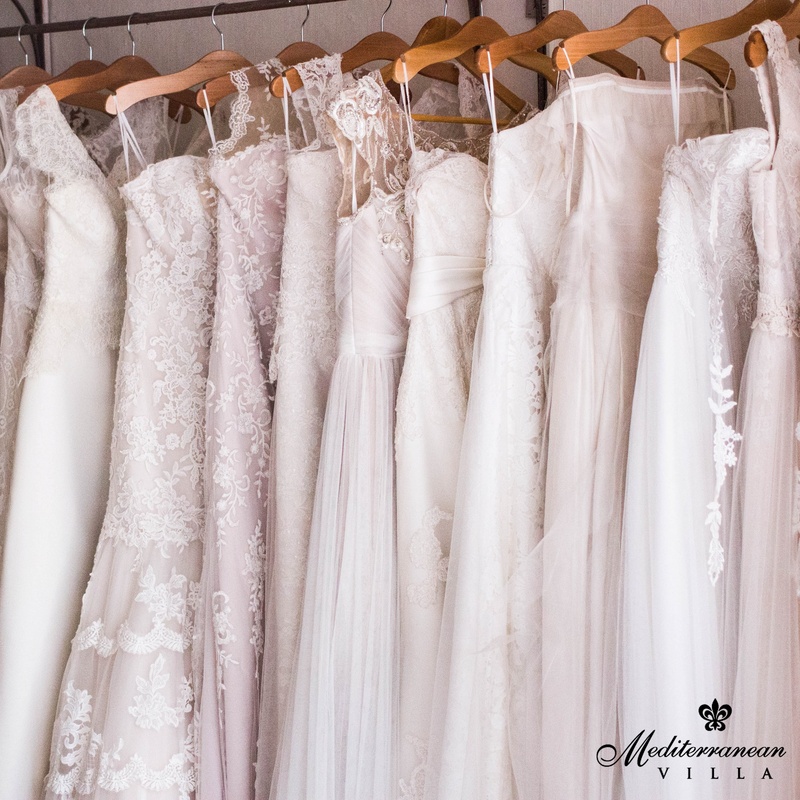 You want to make sure you buy something with plenty of time for alterations, but not too early that by the time your wedding date rolls around you’ve been eyeing another dress. So when is the perfect time to buy the wedding dress of your dreams? Consider these tips when it’s time to go shopping. The first thing on your agenda should be to nail down your wedding date and venue. 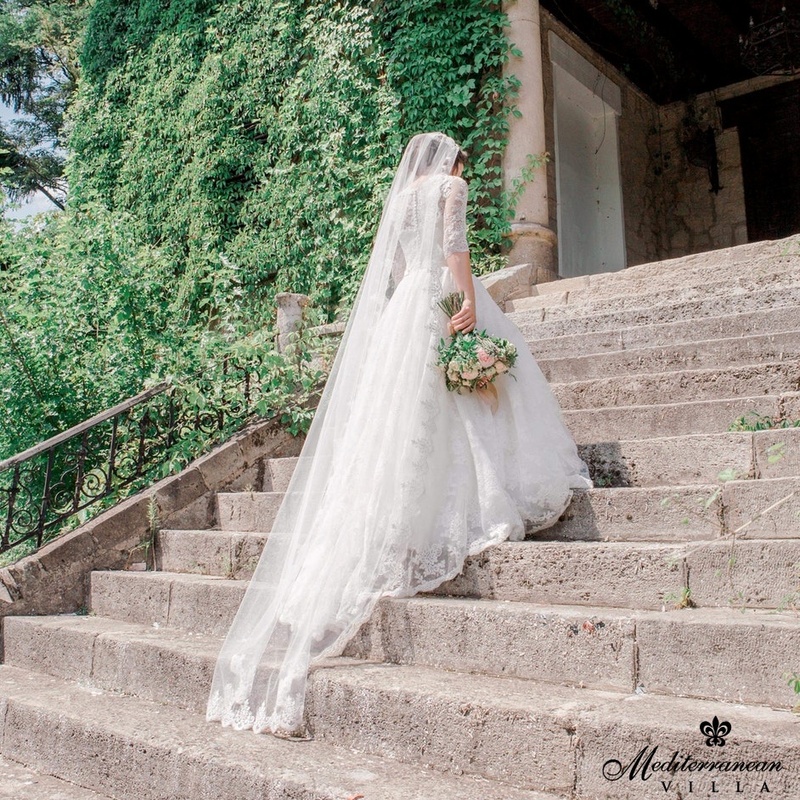 Here at Mediterranean Villa we have several venue options that will work for any bride – from an outdoor garden wedding to romantic chapel setting indoors. We also conveniently have ballrooms and a loft area on site for your reception space to make your wedding day as easy and effortless as possible! But, the reason you want to make sure to you have your venue picked out beforehand is because you don’t want your wedding dress to clash with the overall wedding style. Instead you want your dress to suit the overall tone of your wedding, whether that be casual or formal. It’s important to think about budget when it comes to wedding dress shopping. The last thing you want to do is blow your budget right off the bat. Figure out a realistic price range you’re comfortable with, so when it comes to shopping for that perfect dress you know what you can and can’t afford. Before you head out in search for your ideal dress, do some research. Narrow down your bridal style by thumbing through bridal magazines, create a pinterest mood board, save dresses you see online that you like, and don’t worry about trendy in-the-moment fashion. Focus on your personal style what flatters you the most. When it comes to finding the right bridal salon, it’s best to do your homework. Don’t waste your time going to a salon that isn’t going to suit you. Make sure to read reviews and call ahead to find out if they carry the style, size, and price range that you’re looking for. Once you’ve laid down all the groundwork, it’s finally time to go shopping! Now that you know what will and won’t work for your big day, you’ll have a clearer vision of what you’re looking for and it will help you narrow down dress selections for your dream wedding gown. This entry was posted on Tuesday, January 29th, 2019 at 12:34 pm	and is filed under Villa Blog. You can follow any responses to this entry through the RSS 2.0 feed. Both comments and pings are currently closed.